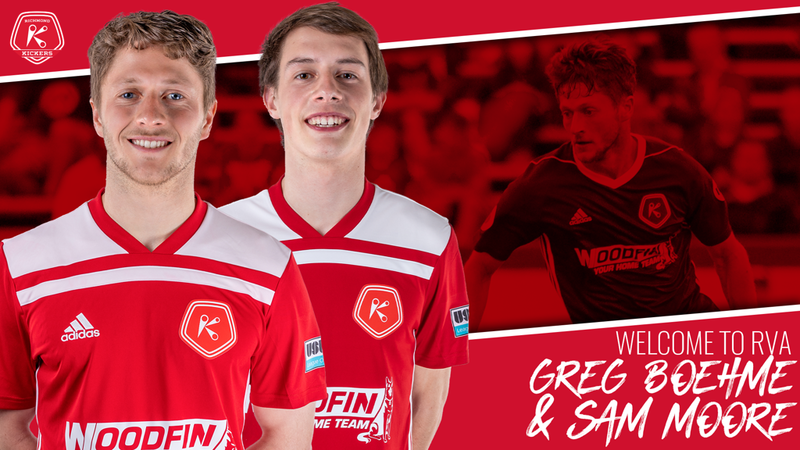 RICHMOND, Va. – (Wednesday, March 20, 2019) – The Richmond Kickers are pleased to announce the re-signing of midfielder Greg Boehme and Richmond United product Sam Moore signing an academy contract for the 2019 season, pending USSF and USL League One approval. Boehme returns to Richmond for his second season, playing in 14 matches and starting in eight of those matches. He made 47 appearances for Virginia Commonwealth University over four seasons, starting in 26 matches and scoring one goal his junior season. The Woodbridge, Virginia native was named to the All-State and All-Met teams with Forrest Park High School in both 2011 and 2012. Coming off 13 matches played for Richmond United U-18/19 this season, Moore signs an academy contract with the Kickers pro team. Graduating from St. Christopher’s this year, Moore has committed to play at the University of North Carolina this Fall, joining former Kickers academy signing and Richmond United product Drew Romig. The 2019 Richmond Kickers roster is now at 20 players with Boehme and Moore, including Amass Amankona, Charles Boateng, Matt Bolduc, Matt Broomall, Dennis Chin, Jannik Eckenrode, Akira Fitzgerald, Josh Hughes, Daniel Jackson, Aboubacar Keita, Eli Lockaby, Ivan Magalhães, Mutaya Mwape, Joe Rice, Maxi Rodriguez, Conor Shanosky, Scott Thomsen, and Braeden Troyer.